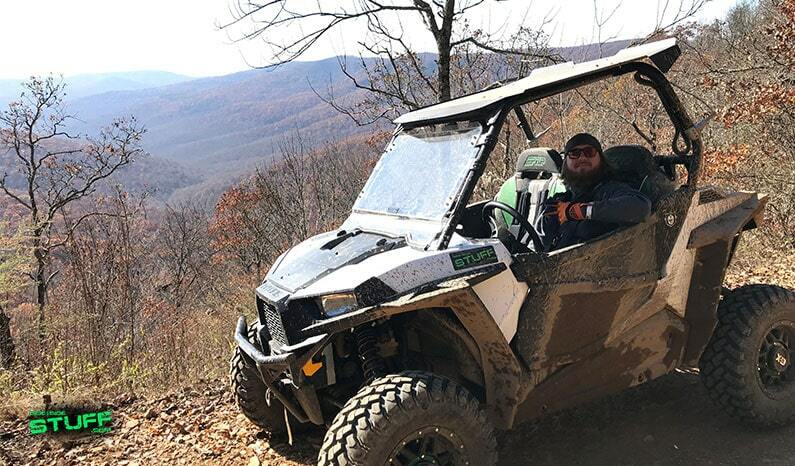 Nestled in the heart of Arkansas’s Ozark National Forest is Mulberry Mountain Logging & Events, a 650 acre resort surrounded by a multitude of OHV and ATV trails that go on for miles and miles. Offering lodge and cabin rentals as well as primitive and RV camping, the resort is set up to accommodate a variety of ways to stay. It features a convention / reception hall where many hold weddings, reunions, meetings and retreats as well as an amphitheater for live music. Check out the resort’s schedule as several events and music festivals have been and still are held at the resort. 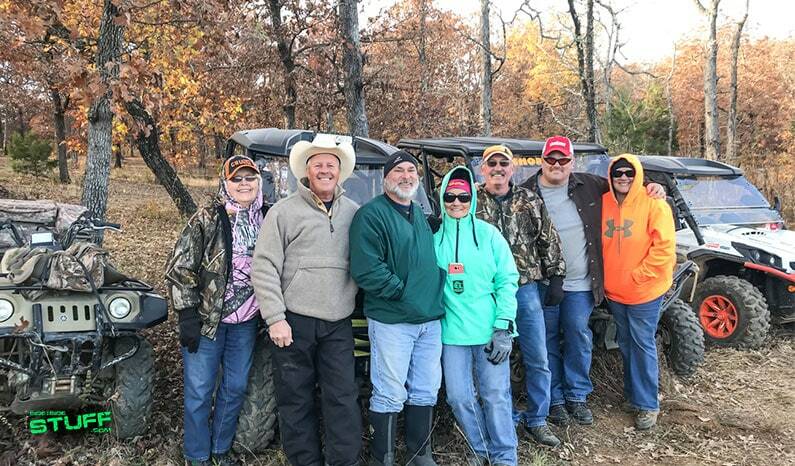 Mulberry Mountain’s location in Ozark, Arkansas is an epicenter for outdoor activities including hiking, canoeing, horseback riding, hunting, fishing and most importantly OHV and ATV trail riding. Many trailheads are easily accessible right from the resort, in no time you’ll be out for an adventure in the Ozark National Forest. 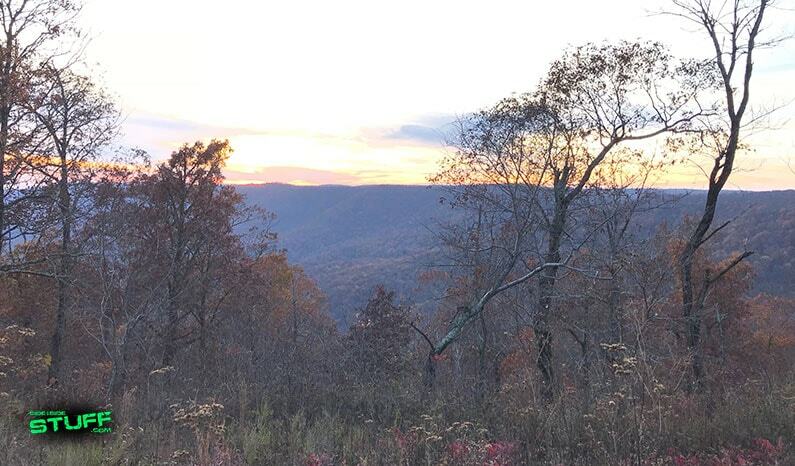 The vast mountainous trails feature breathtaking panoramic views, waterfalls and beautiful, clear streams with plenty of scenic lookout points. From flowing loops to rocky trails and climbs, the diverse terrain is home to a variety of trails ranging from easy to very difficult. 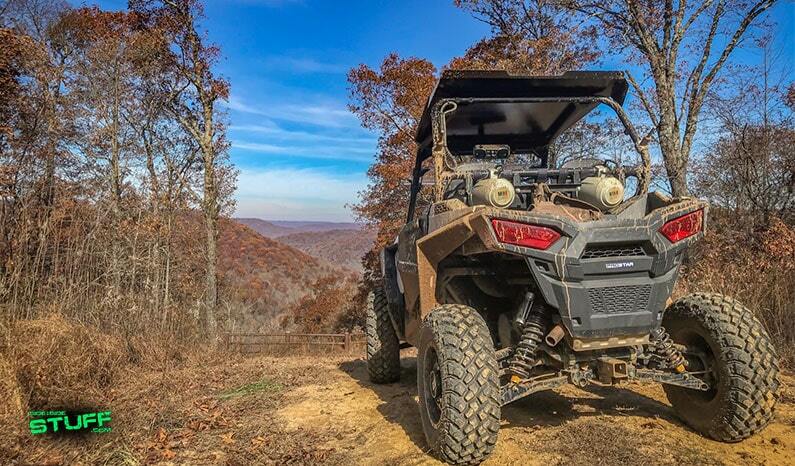 You’ll find everything in the dense woods, from quick elevation changes, mountain creeks and challenging hill climbs to wide open minimum maintenance and fire roads. Trails seem to go on for days and although a trail map can be acquired, we recommend bringing a GPS or some sort of navigational tool so you don’t get lost. A widely popular trail that can be accessed from the resort is the Mill Creek OHV Trail. Geared for the advanced rider, Mill Creek is actually a riding area that features nearly 50 miles of designated trails that form 3 long interconnecting loops with several smaller loops in between. In this area the terrain gets more rugged with hard packed trails, lots of loose rock, big boulders, steep climbs and creek crossings. The fun doesn’t stop at Mill Creek; outside the riding area you’ll find a vast network of trails in the National Forest that are accessible from the resort. Another popular route is the Mountain Creek Waterfall Trail; on this loop you’ll find some incredible hidden gems, including 20ft and 60ft scenic waterfalls along the trail. The 20ft waterfall even makes for a good swimming hole during the summer heat. 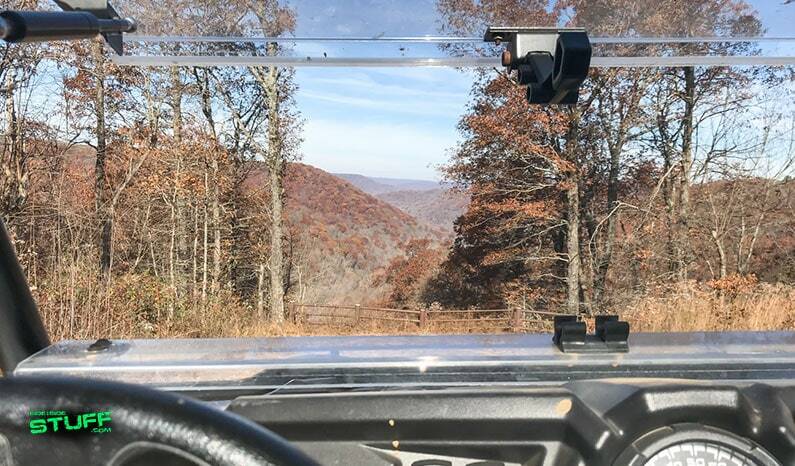 Exploring the Arkansas Ozark Mountains is truly an amazing experience; we can’t wait to get back to Mulberry Mountain. 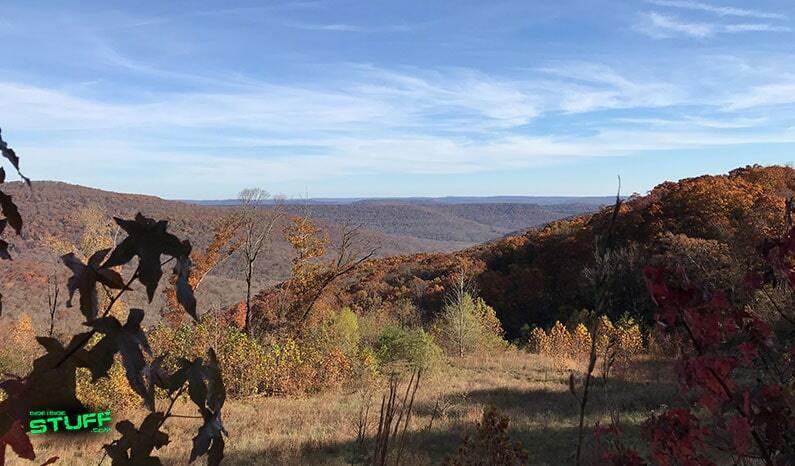 We recommend putting the Ozark National Forest on your bucket list of places to ride, the convenience of trail accessibility, extraordinary trail riding and the epic scenery makes Mulberry Mountain is a great place stay to start exploring. I have been to Mulberry Mountain and it is well worth the trip! Unfortunaly I only had 1 day to ride and didn’t get to see most of what I had wanted to. Never take 7 people and only 1 ride ugh!